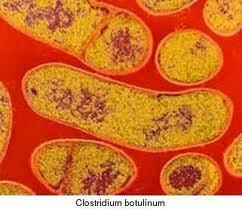 Botulism is a kind of food poisoning caused by bacterium, Clostridium botulinum. This bacterium is present in soil. The toxin produced by this bacterium affects the nervous system. There are many types of botulism. Foodborne botulism is due to eating foods, which are contaminated with certain chemicals. The toxin mentioned above travels via blood and get attach to the nerves which control muscles. A person may get sick by eating contaminated foods. Many experts think that infant botulism occurs because the germs can destroy digestive system. Wound and intestinal infections are responsible for botulism to occur.